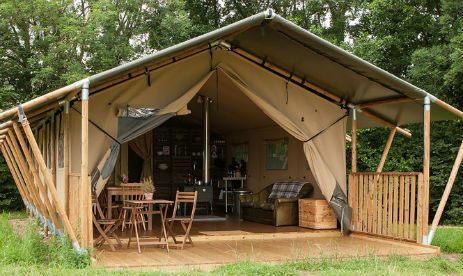 Our woodland setting at Worth Forest Glamping is located in the heart of the Sussex countryside offering fabulous luxury camping in Safari Tents. 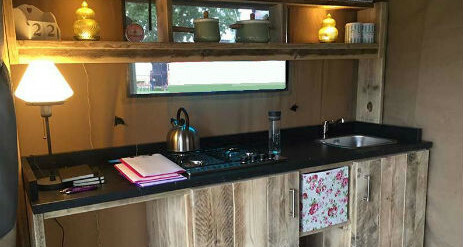 Relax and enjoy a peaceful break in the country or create adventures of your own. Set in the grounds of Worth Lodge Cottage and its surrounding 6 acres, the cottage was built in around 1890 as a lodge cottage to Highley Manor, a Victorian Manor house in Crawley Lane. In the last 5 years the cottage has been sympathetically extended, the gardens and driveway re-modelled and a vegetable garden and chicken run installed. Rearing their own pigs each year, having chickens and growing their own produce, we aim to be as self-sufficient as possible. Each of our safari tents have a fully equipped kitchen and living area. 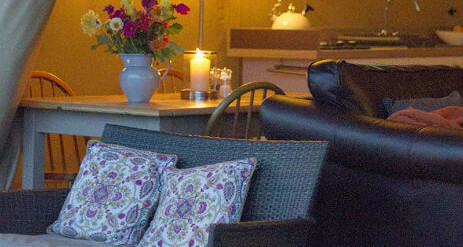 We know you will want to spend as much time outdoors so there is a lovely decking area with an outside table for al fresco dining, fire pit and BBQ. 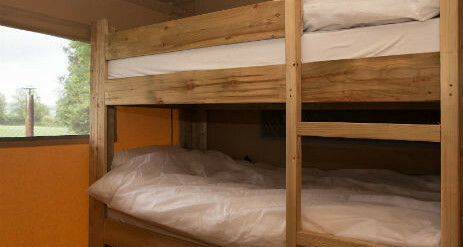 After all that fresh air you can retire to bed with a double bedroom and separate bedroom with bunk beds. 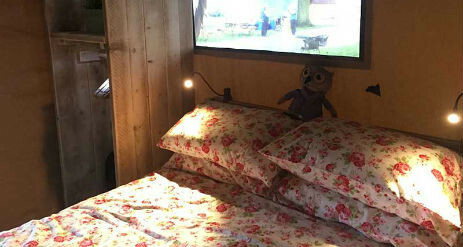 We love a good night sleep so insist on high quality mattresses and bedding all made up and ready for your stay. And while we appreciate this is camping, we do like some mod cons the tent has its own bathroom all equipped with towels and complementary toiletries. 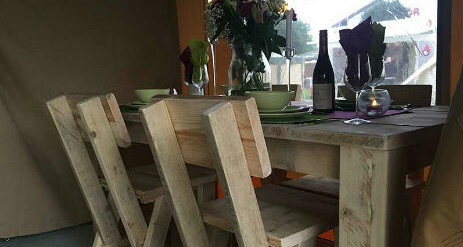 You can do a little or a lot at Worth Glamping. There are a range of good books, puzzles and games to enjoy in the evening or relaxing in the sunshine on the terrace. The surrounding woodland offers many adventures, build a camp, play hide and seek or keep watch and spot the local wildlife. By day you will see a plethora of wild birds, rabbits and maybe our resident muntjac, by night you can listen out for our family of owls calling to each other, a visiting herd of fallow deer or our local roe deer family comprising mum, dad and their fawn. We can also provide maps for local walks and cycle rides. 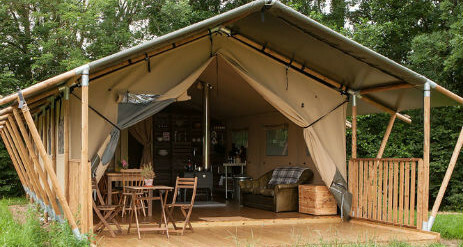 Our two safari tents are furnished to a high standard and with all the luxuries you would expect but on a more rustic scale. You never know, there might even be a chocolate on your pillow! We are proud to support or local rural economy so all the information about local amenities and activities will be in your welcome pack, along with menus, complimentary vouchers and train times etc.